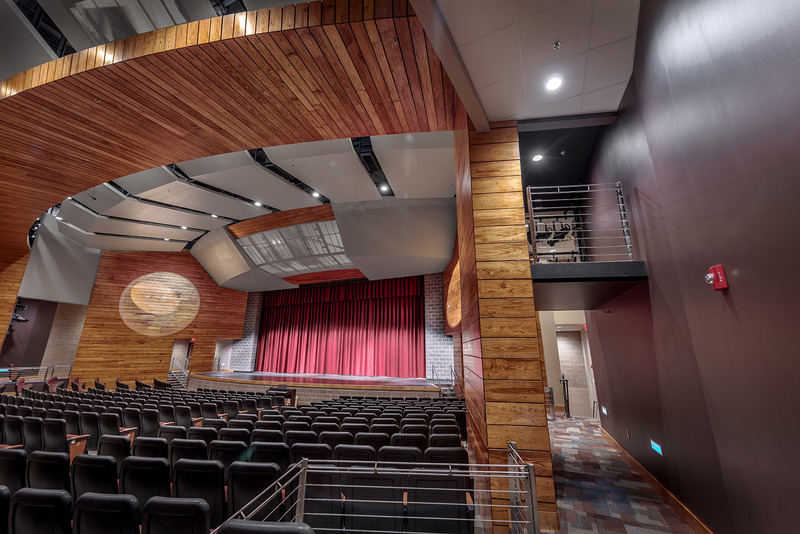 Since the inception of the Shawnee Heights High School, the students and faculty used a multi-purpose space to serve as an auditorium, which was not adequately meeting their needs. 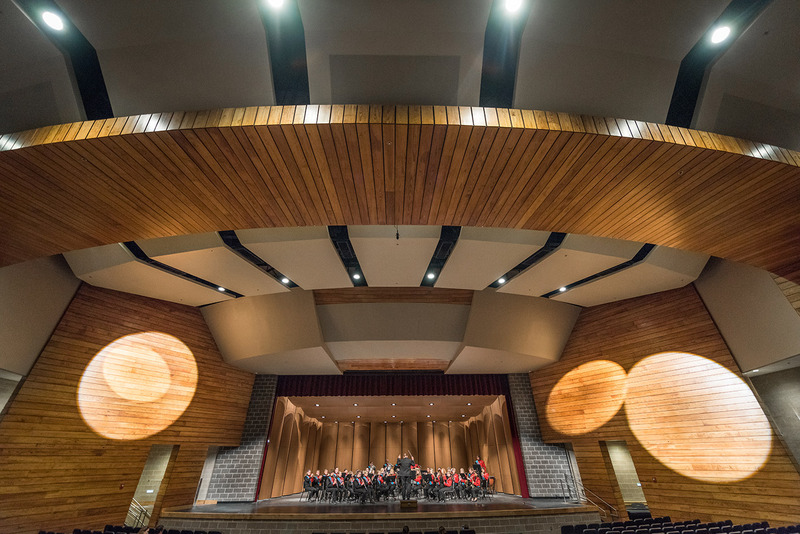 The multi-purpose space had limitations in terms of acoustics, lighting, technology, seating and safety. 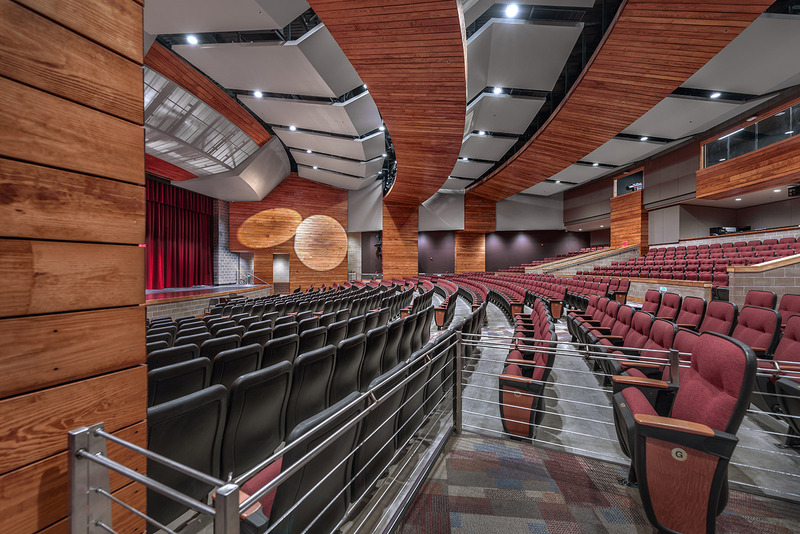 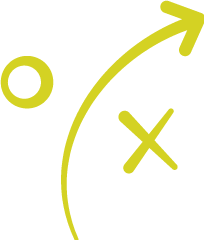 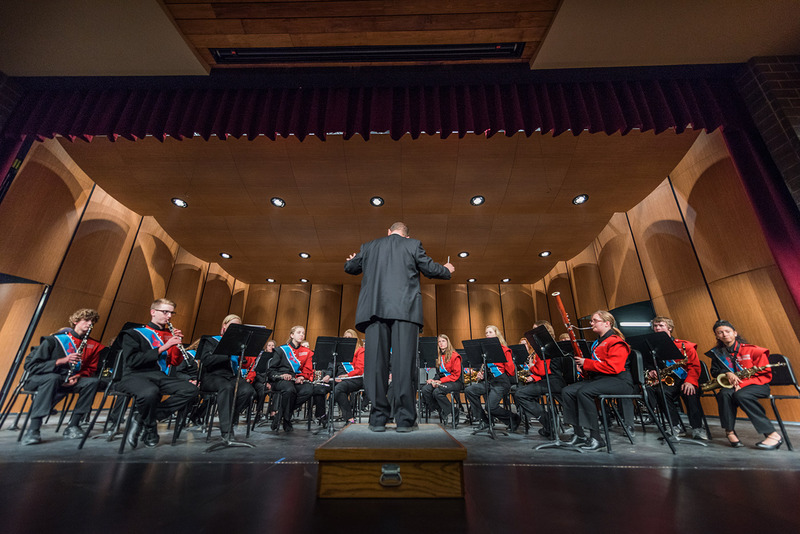 Consequently, as part of their Master Plan, Shawnee Heights USD 450 contracted HTK to design a new Auditorium for the Shawnee Heights High School that would use reclaimed materials from the High School and integrate them with new materials. 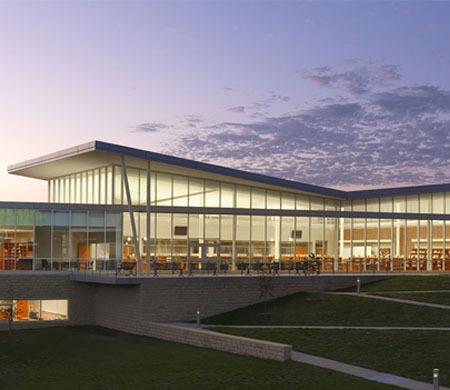 They desired to create an iconic space that would better meet their needs but also preserve the history of the High School. 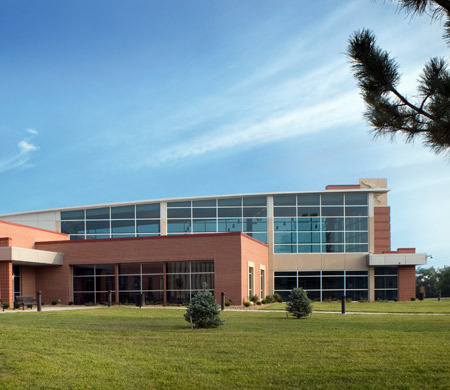 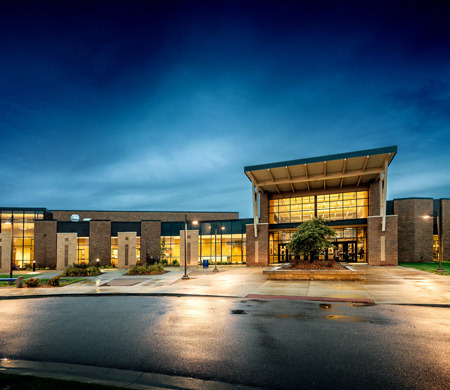 The Shawnee Heights High School Auditorium is a 17,250 SF Performing Arts Auditorium, which can be accessed from the existing High School’s main entrance and commons. 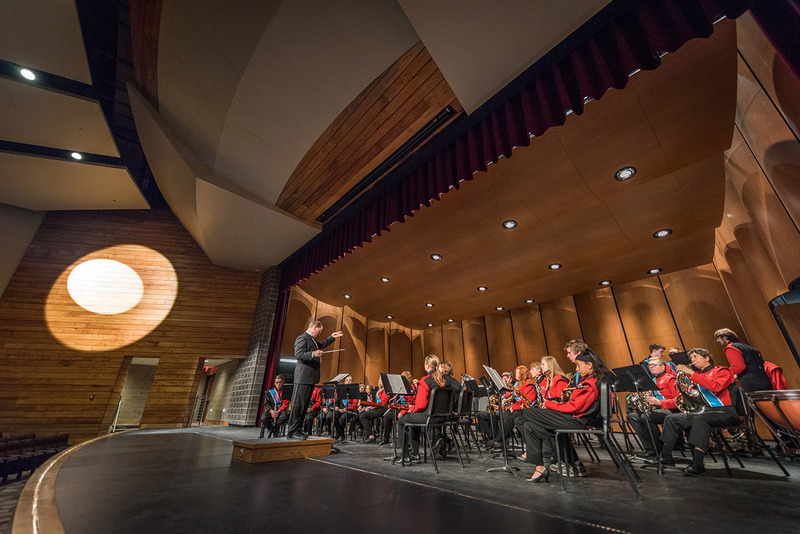 The facility consists of an 835 seat Auditorium with an Orchestra Pit and 30 Line Set Full Fly. 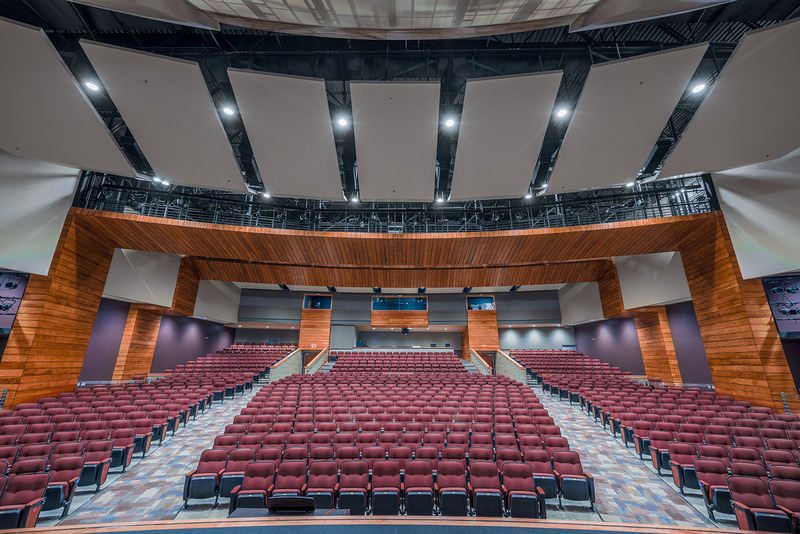 The stage is lit from overhead catwalks and platforms controlled from an upper level lighting booth while sound is controlled and recorded from the Control Booth. 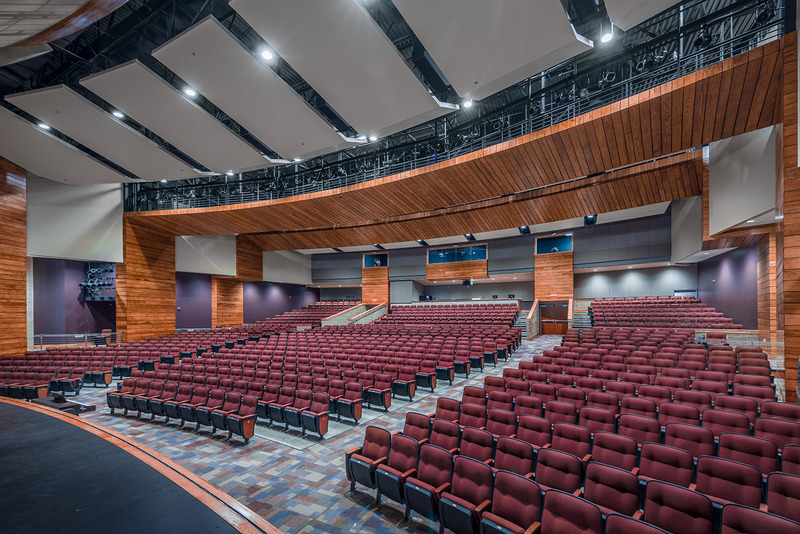 The Auditorium is finished in approximately 10,000 SF of Pine reclaimed from the High School’s former gymnasium bleachers. 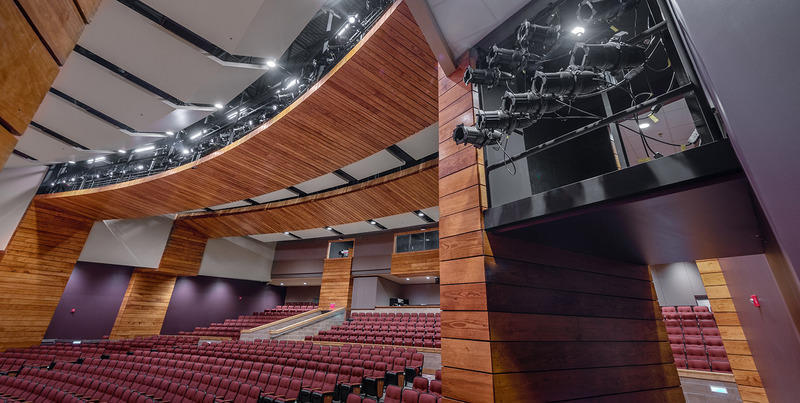 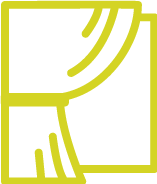 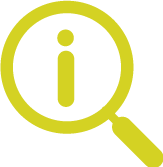 Furthermore, the Auditorium is supported with areas for Stagecraft, material and tool storage as well as dressing rooms with direct access to the stage.